Want more gore with your compelling storyline? This is the film for you! 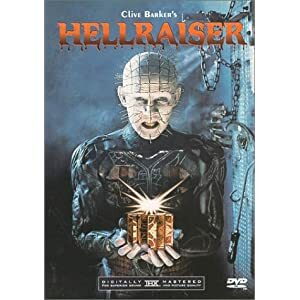 Directed by Clive Barker, this is a unique horror movie that is both gripping and suspenseful. Get ready to meet the very symbol of suffering and pain – Pinhead! Hellraiser is just downright scary, with scenes of sheer pain and agony. It's not for everyone, so if you try this movie be ready for pure terror. The leader of the Cenobites, Pinhead, appears to everyone that is able to solve an exotic puzzle box that is named Lamont Configuration. He is very vicious and loves to make his victims suffer horrendously before sending them straight to hell!